Wondering whether luxury CPO or economy CPO is a better buy? DriverSide is here to help. 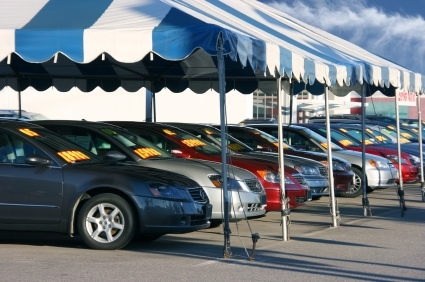 If you’re in the market for a good used car, you may have noticed a preponderance of certified pre-owned, or CPO, rides out there. Nearly every automaker on the globe offers some sort of certification program for its used vehicles, from Audi to Pontiac, so how do you know which is the best deal? Is it worth paying a little extra for some peace of mind on an economy car or a newish luxury whip? As it turns out, that greatly depends on who you are. Before we get into the details of what we mean, let’s take a closer look at the CPO process in general. Certified pre-owned cars are sort of the middle ground between used vehicles and brand-new dealer offerings. They tend to be between four and six years old with less than 80,000 miles, have no incident history and have been thoroughly checked over by the manufacturer. Certified cars tend to be trade-ins or lease return vehicles, so odds are they’ve had all of their maintenance performed by the dealer and have had any recalls attended to in the same manner. In a phrase, these cars are the cream of the used-car crop. That brings us back to our question of which is a better buy, an economy CPO or a luxury. According to James Bell, editor and publisher of Intellichoice.com, it really depends on the buyer. For some people, buying an economy car is the answer to a solution, and as such they don’t want to invest too much brain power in the decision. On the flip side of that coin, if you happen to be fairly handy under the hood or are confident you can get a better deal on your repairs from a local mechanic, the upfront premium you pay for the certification process and the accompanying warranty may not be worth it to you. After all, your economy car is probably just basic transportation for you and your family. Then there are the luxury rides. There’s no getting around the fact that you’ll pay a larger premium for certified brands like Mercedes-Benz or Audi. Bell says part of that is due to the fact that the price-point will support the increase. It’s not all about manufacturers taking advantage of what the market will bear, however. “To some degree, parts and labor are going to cost more on a luxury vehicle if something goes wrong,â€ he admits. So how much are we talking about here? As it turns out, a certified pre-owned economy ride like a Honda, Toyota, Ford or GM will usually command around $750 to $1,500 over a similar, non-certified car. For that amount of money, buyers are given the manufacturer’s guarantee that the car isn’t a lemon and that it will provide mile after mile of carefree motoring. There’s also the added benefit of an extended warranty, similar to if the buyer had picked the car up new, straight from the dealer. As we said earlier, luxury brands will ask a little more for their certified pre-owned goods – anywhere from $1,200 to $2,700 depending on the manufacturer and the car. The truth is there isn’t much of a difference between the certification programs. Luxury buyers are simply protected against astronomical repair bills in the event something goes wrong after the purchase rolls off the lot. Which is a better buy? If you’re picking up a cheaper set of wheels, it really depends on your preferences and capabilities as a vehicle owner. On the other hand, stepping into a used luxury auto that isn’t certified is simply asking for undue trouble. If you’re uncertain whether the CPO program you’re looking at stacks up against another manufacturers, you can evaluate them side-by-side at Intellichoice.